The Blackstone and Tombstone regions are seasonally rich in sheep, caribou, fish, water fowl and berries. The people who lived here had strong ties to this land and First Nation elders continue to pass on the knowledge and wisdom about their land. 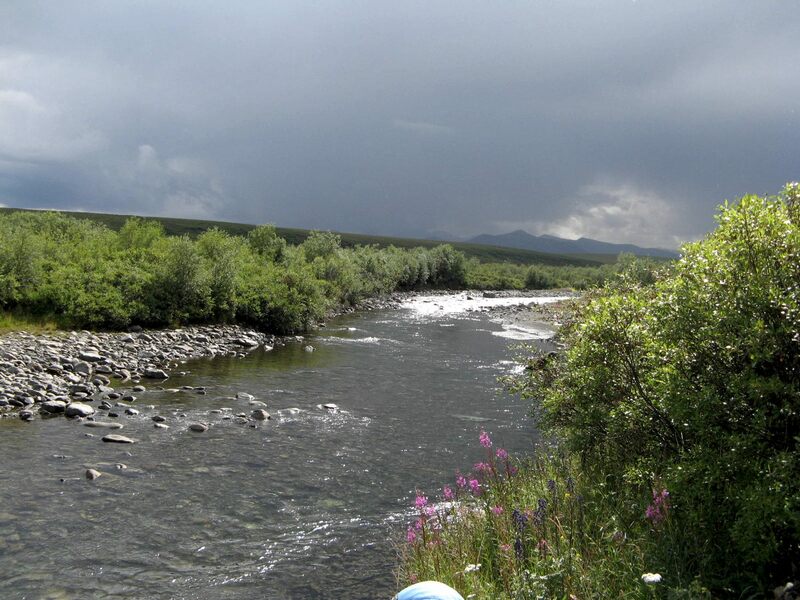 The Blackstone River, also known as Tth’oh zraii njik in Gwich’in and Ttth‘oh zrąy in Hän, flows through the Blackstone Upland and the name in all languages refers to the rocks found along the river’s banks. First Nations traditionally used a variety of rocks like this to make stone tools. Tree stumps in the Uplands, dating from the early 1800s, were cut by stone axes. These trees were probably used to build caribou fences, a traditional and communal method of snaring migrating caribou. The 1898 Klondike Gold Rush created a market for fresh meat that was partially supplied from here, just two days away from Dawson City by dog team. After First Nations hunters obtained rifles, they travelled in small family groups to harvest caribou, and caribou fences fell into disuse. Several camp sites in this region were used by the Tetlit Gwich’in, Takudh (Dagoo) Gwich'in, and Tr’ondëk Hwëch’in. The economy around the migrating caribou created a prosperous culture until about 1927. More recently, the Dempster Highway has been the scene of First Hunt, or Wëdzey Nätäzre (caribou hunting in Hän), an educational program that promotes traditional knowledge and cultural values.